It should not surprise you that getting adequate sleep enhances your physical and mental health. What exactly is considered adequate sleep? Many researchers believe between seven and nine hours of sleep per night helps boost the immune system, create better mental clarity, and bolster the strength of the body. Unfortunately, not even nine hours in the rack works health wonders if sleep is disrupted frequently or you have trouble falling to sleep. Quality matters as much, if not more than the quantity of sleep. What influences the quality of sleep? We can present the usual suspects such as food, caffeine, and the performance of a pillow. However, the type of mattress you sleep on has more to do with the quality and quantity of your sleep than any other factor. 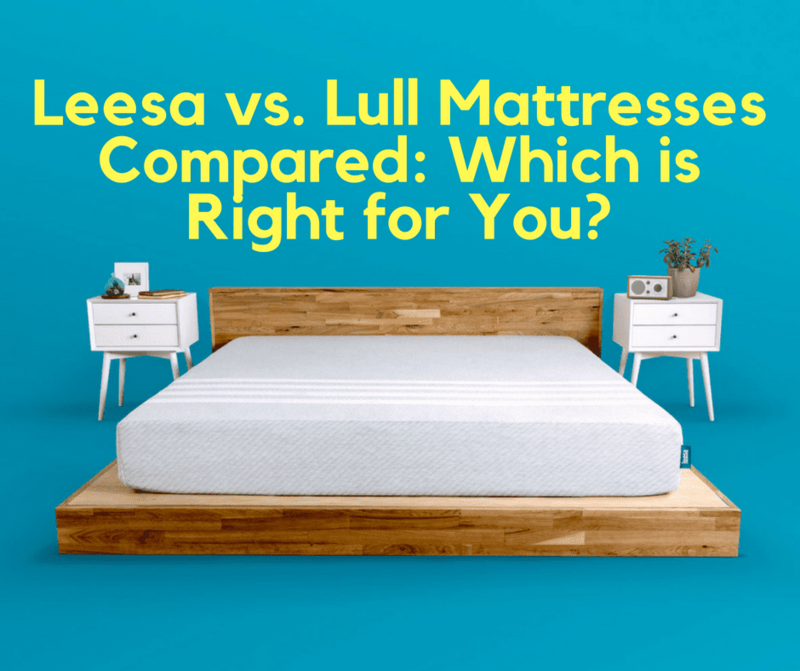 For this comparison article, we thoroughly examine the characteristics of Lull and Leesa mattresses to determine which mattress is the right one for you. First, let’s review the factors you need to consider before putting down hundreds of dollars to buy a mattress. We have different preferences and more important, different needs for purchasing a mattress. What feels back supportive to you might feel sagging to your partner. Because of the different preferences, we have in choosing mattresses, manufacturers target market segment to boost sales. For example, you can find a mattress from a manufacturer meant to sleep warmer than average for someone who enjoys toasty winter comfort. The same manufacturer might introduce a different mattress that locks you into a comfortable sleeping position. We can go on all day about the factors consumers consider for buying mattresses, but we believe the following five factors should be on everyone’s list. Mattresses offer a wide variety of comfort levels. As the first factor to consider, mattress comfort plays the most significant role in determining the quality of your sleep, which directly influences how long you sleep uninterrupted. 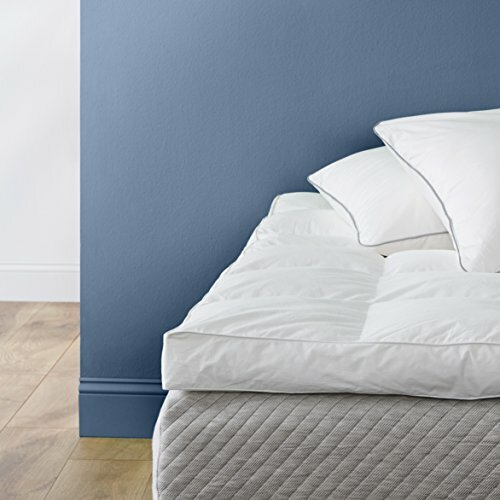 Mattress comfort levels range from very firm to extremely plush. Some manufacturers offer mattresses that provide personalized contouring to accommodate certain body shapes. 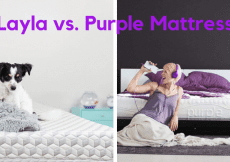 As a growing tool used by numerous mattress manufacturers, consumers refer to a color chart to find the mattress that matches their comfort levels. Your size preference might differ depending on whether you sleep alone or share the bed with someone else. Just lying down on a mattress at a retail store to check out the length of the mattress tells only a part of the side story. A better question might be “What position do you start sleep.” Many of us start in a certain position only to turn over into a different position. Mattress manufacturers target different sleeping positions such as back, side, front, and stomach positions. If you turn over frequently throughout the night, then the mattress you want is much different than a mattress a primarily side sleeper should choose. For example, side sleepers typically sleep best on plush or pillow top mattresses. Both styles of mattresses offer support for the natural curve of the spine. Do You Like Feeling Cool or Warm? Mattress temperature plays a huge role in determining how well you sleep. Some of us like feeling cool even if the temperature outside has plunged below freezing. Consumers that enjoy sleeping warm tend to go with pillow top and traditional foam mattresses. Many manufacturers add features that allow you to adjust mattress temperatures to account for changing preferences. The type of mattress you choose depends partly on how warm or how cool you sleep. Back and shoulder pain can make sleep a nightly futile gesture. Therefore, if you suffer from pain in the back and/or shoulders, you want to find a mattress that helps reduce the pain. Some of us wake up with some type of pain caused by sleep. If that is the case for you, we suggest focusing on mattresses that promote healthy sleeping positions. Identify where you ache and create your shopping strategy for a mattress based on alleviating pain during sleep. Leesa promotes its two mattresses as “Giving the gift of sleep.” With its One-Ten program, the company earns praise for donating one mattress for every 10 mattresses sold. Selling only two styles of mattresses helps Leesa streamline the manufacturing process, which the company claims it passes along as savings its customers. 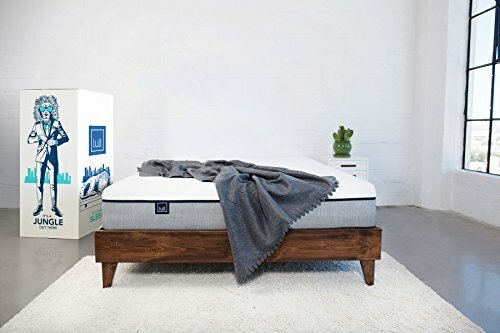 This comparison review takes a look at the Leesa mattress that generates most of the company’s revenue. The hybrid mattress Sapira is considered a specialty mattress. A vast majority of mattress manufacturers design and manufacture mattress that fall with the six to 10 range on the firmness scale. Sleeping on firmer than average mattresses prevent back pain and many studies indicate firmer mattress encourage more restful sleep. 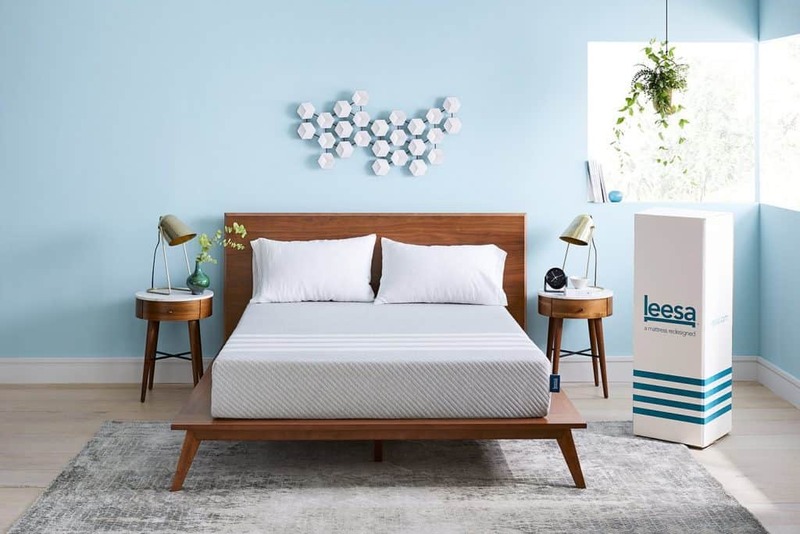 Leesa follows the firmer than average blueprint for its flagship mattress brand. The Leesa mattress scores high for foam thickness, with an initial feeling of soft foam lightly hugging the body. After a few seconds the mattress firms up in a shape that contours to your body and it stays at the same level of firmness until you move during sleep or get out of bed. Leesa develops three layers of foam for its primary mattress, which is the same number of layers used by Lull mattresses. Two inches of Avena foam form the first layer and it is this layer that customers feel contouring to their bodies. Avena represents patented foam offering sleep performance similar to latex foam. You should experience comfortably cool sleeping conditions, as well as below average bouncing. Avena foam is considerably more durable than latex foam. The first Avena foam layer sits on top of a middle layer measuring two inches thick. The two inches of the middle foam layer delivers relief for back and shoulder pressure points and it provides compression support for adults and adolescents that carry above average weight. As the foundation of the three-layer foam, the bottom layer provides six inches of high-density support. Unlike some foundational layers, the bottom Leesa mattress foam layer offers plenty of breathability. The strong airflow between the middle and bottom layers helps cool the body when it begins to warm up during the transition to deep sleep. The amount of motion transfer is especially important for couples that sleep together. Couples should be pleased with the lack of motion transfer for the Leesa mattress. Much of the lack of motion transfer is because of little or no sinkage at the point of body impact. Typical lying position and body movement create almost two inches of motion transfer. Sitting at the end of an average mattress produces nearly three inches of motion transfer. Leesa mattresses beat the average rate of motion transfer by more than one half of an inch. Standing in the middle of a Leesa mattress generates less motion transfer than what you feel when you stand in the middle of a Lull mattress. Numerous independently conducted tests confirm Leesa mattresses do not collapse or experience any compromising of the mattress structure. We understand consumers shop for mattresses by following a budget. Nonetheless, a mattress is one household product that price should not be a deal breaker. Sacrificing quality to save a few bucks can lead to chronic back and shoulder pain. For a factory direct manufacturer, the Leesa mattress runs near the average price point. Leesa sells twin and twin XL mattresses that run about the same price as the same size mattresses offered by Lull. It is the larger mattresses that find Leesa ranking higher in price. Leesa runs a 100 day home trial program that gives customers enough time to see if the mattress purchased from the company is truly the right mattress. It takes a couple of weeks for mattresses to settle in and deliver what manufacturers want out of the mattresses. Leesa’s 100 day home trial program takes the guesswork out of spending more than $1,000 for a new mattress (Check out the latest prices here!). Customers that are not satisfied for any reason before the end of 100 days receive a full refund from Leesa. Lull promotes the company’s commitment to designing and manufacturing high-performance mattresses while adhering to sustainable practices that help the environment. The company receives rave reviews online from both customers and bedding industry experts for offering long-lasting mattresses at affordable prices. Let’s see what makes Lull mattresses special. Although the Lull mattresses rank at a 6.5 in terms of firmness, the mattress is less firm than the Leesa flagship mattress. This might be the deal breaker for sleepers who need firmer than average back support, especially at the lower back and around both hips. Lull designed it mattress to accommodate the widest range of sleepers, while not targeting sleepers who need the ultimate in back support. Side and stomach sleepers should fall in love with the slightly above average firmness of the Lull mattress. Three foam layers work seamlessly to produce a balanced push back feel that does not trigger pain in pressure points. 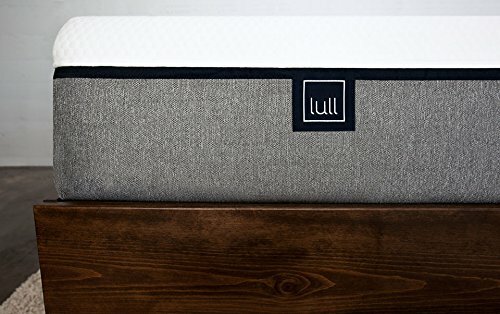 The Lull mattress receives positive reviews for designing a three foam layer system that maintains the middle of the mattress support for years to come. The less firm Lull mattress creates more motion transfer than the motion transfer experienced by Leesa mattress owners. However, Lull mattresses still deliver a mostly quiet night of sleep, with little motion transfer except during extended periods sleeping in the middle of the mattress. When one partner rises from bed during the night, the other partner should feel only light vibrations. Above average support along the sides of the mattress should appeal to Lull mattress owners that begin the night sleeping near the side of the bed. Designed with coil action, Lull mattresses generate much less bounce than the bounce generated by other types of coil mattresses. You might not think that only 10 inches of memory foam is not enough to provide the level of support we mentioned in the previous section. Yet, the 10 inches of foam comes from combining three layers. Each layer delivers a different benefit, with the 1.5-inch top layer of gel infused memory foam taking care of cooling warming up bodies. It takes fewer than three minutes for you to start feeling the cooling effect of the top gel infused memory foam layer. The cooling effect of the top layer is particularly helpful for hot sleepers that experienced an increase in body temperatures during sleep. One and a half inches comprises the middle layer of traditional memory foam. The middle layer is where sleepers receive the most support. Lull promotes the middle layer as the transition layer between a softer, cooler top layer and a firm foundational bottom layer. The middle layer features spine alignment to distribute body weight evenly. Many customer reviewers say the first two layers combine to take of the sleeping needs of most consumers. At seven inches, the dense foam bottom layer handles the extra pressure placed on it by sleepers of above average weight. The bottom layer of the Leesa mattress provides more support than what sleepers receive from the bottom layer of the Lull mattress. 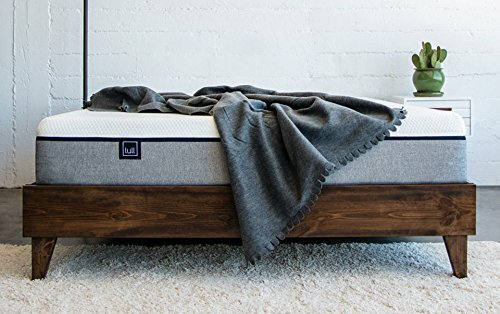 Up to this point, it appears the Leesa Mattress has earned an edge over the Lull mattress, especially when it comes to delivering firm support and little, if any bounce. 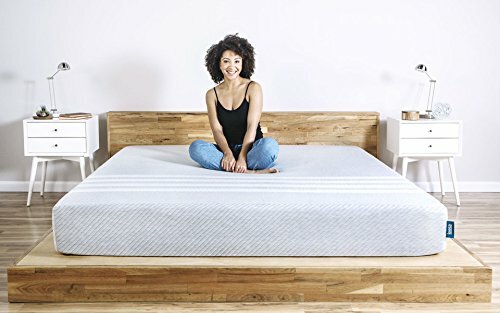 However, the Lull mattress makes up some competitive ground by featuring a cover that enhances the above average firmness of the memory foam layer. Many bedding experts call the Lull mattress cover the star of the mattress show. Lull mattresses feature a thick cover that provides additional cooling via highly breathable materials. Hot sleepers do not have to wait long to enjoy the cooling comfort of the Lull mattress cover. Rugged polyester withstands the types of rips and tears that diminish the quality of other styles of mattress covers. As a test, we pulled hard on the cover fabric and watched the fabric immediately recover to its original texture. What does this mean for Lull mattress customers? It means you never toss and turn in bed because of the annoying bunching of cover fabric. As we mentioned, the larger the mattress, the more money you can expect to pay for the Leesa mattress than what you can expect to pay for a Lull mattress. California King Lull mattresses, which are the largest style offered by Lull, run around $900 (Check out the latest price here!). Savvy consumers that shop online should be able to find easy to download coupons to save money on Lull mattresses. The company offers free shipping that brings a Lull mattress to your front door between two and seven days from the day of the order. 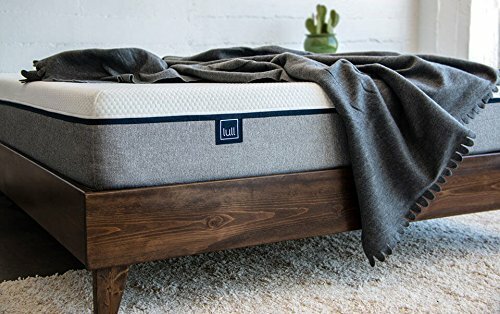 As Leesa does, Lull operates a 100-day free home trial program that gives you more than enough time to determine if the mattress is the right choice for you. What separates Lull pricing from the pricing of Leesa is the above average 10-year warranty that includes every mattress feature created by Lull. If you enjoy sleeping on an extra layer of thick padding, then you should enjoy sleeping on a Lull Mattress. 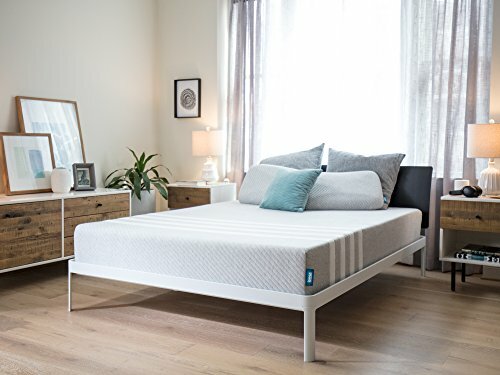 Outside the cover advantage and a better warranty, Lull falls short of providing the type of firm mattress many consumers want to prevent back pain or event to mitigate back pain. Leesa mattress do not need the extra cover layer to produce a mattress that has little bounce and does not sink after years of use. You can save some money by going with a Lull mattress, but you have to ask if the money saved is worth owning a mattress that barely exceeds the average for mattress firmness. 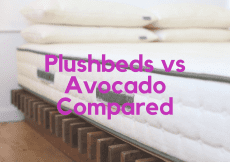 Buying a mattress requires plenty of research, which we hope this comparison article provides consumers. Company websites are good starting points for researching mattresses, but you should read objective reviews from both customers and bedding industry experts before you decide on the right mattress for you. Here are some tips to ensure you make the best mattress choice. Of course, we do not mean in the literal sense, but the same principle for test driving a vehicle applies to buying a mattress. We strongly recommend consumers spend time on any mattress under consideration. Try different sleeping positions on the side and in the middle of the bed to detect any sinkage. A new mattress offered by Leesa and Lull should not sink at all when you test the mattresses at a store. Spend about five minutes testing each sleep position and you should come away with an accurate impression of a mattress under consideration. Research suggests most consumers have the same impressions of a mattress after the 100th day of owning a mattress as they had after the first night sleeping on the mattress. Although you are not signing a legally binding contract, such as a contract you sign for buying a car or home, purchasing a mattress requires you to read what sometimes is a complex terms of service agreement. We believe two specific points need to be addressed: warranty and return policy. Manufacturers that offer mattress warranties typically state a warranty length within the terms of service agreement that spans between 10 and 25 years. However, some manufacturers add one or more stipulations that can void mattress warranties. Make sure there are no strings attached to the warranty clause of the terms of service agreement. The second point to examine is how a mattress manufacturer handles returns. Does the company award a full refund for the method of payment used to buy a mattress or do you receive credit for the cost of mattress towards the purchase of another mattress? We suggest taking the credit, as the company might have a design issue with the entire line of the mattress you purchased. Moreover, make sure a manufacturer is not hiding a 15% restocking fee in terms of service agreements that include return policies. Since Lull mattresses cost between $500 and $900 and Leesa mattresses running higher than that for the larger styles, it is important to negotiate mattress price with the retailer selling your preferred brand. Retailers that allow you haggle typically markup mattress prices to give them wriggle room during price negotiations. Some retailers mark up mattress prices by as much as 50%. Therefore, do not hesitate to walk out of a mattress store, if you feel the retailer is offering you an unfair deal. Although you can haul a mattress from a store to your home, most mattress retailers offer free delivery as an incentive to purchase a new mattress. On delivery day, you must inspect the mattress carefully to ensure it is in mint condition and it is the style of mattress you purchased. The mattress should include a label that reads “All new material.” When you see the label you can move on to the next mattress inspection step. You have to confirm you received the right size mattress. You do not want to sign on the dotted line for a Queen mattress when you bought a king mattress. Call customer service immediately after detecting something is wrong with the mattress, whether the driver caused the issue or warehouse storage damaged the mattress.